The chat lines have been ringing of late with conjecture about the first two-year-olds of the Equus Champion Sprinter, Rebel King. Most times you see a juvenile Feature field, there’s a Rebel King among them, and while he has yet to register a Stakes winner, he’s already had several earn their Black-type brackets. A precocious Group-winning two-year-old himself, the R210,000 Summerhill Sales graduate took a while to earn his first victory at the highest level, principally because he had the misfortune to be born in the era of the exceptional likes of National Colour, Mythical Flight and War Artist, all world-class performers in their own right. Although they knew the’d been in a scrap alright, most times it was their backsides he knew best! His dam Cousin Linda, a one-time winning daughter of champion sire Badger Land, started just twice, and after an auspicious five length romp on her second visit to the racecourse, her career was curtailed by a recurrent hock injury. 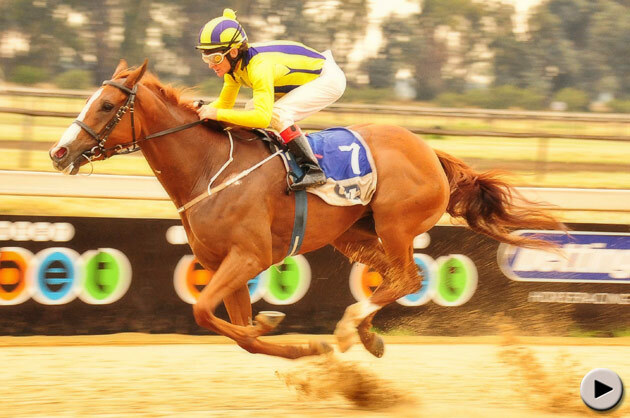 Whatever she lacked in racing opportunities however, she has more than made up for at stud, and on Tuesday her worth as a producer was displayed in technicolour at the Vaal. In the featured Riverside Handicap, the eight-time winning Uncle Tommy became a Black-type performer when staying on for third in the Listed event, while a half hour later, his sister Rebel Queen demolished a quality field in the Nkosazana Stakes (Listed) by a growing five lengths, racking up her sixth victory for Corne Spies, Fito Englezakis and Rob Macnab. While it took a very reasonable R280,000 to acquire Rebel Queen herself, her mother has the distinction of having produced a succession of commercial youngsters at the sales, starting with Uncle Tommy who was South Africa’s most expensive yearling of his year when he fell to the bid of Mike Bass and the late Graham Beck at R2.4million. Always on the lookout for a bargain, Uncle Tommy was snapped up as a one-time winner by Hassan Adams for a modest R160,000 at the Graham Beck dispersal, and has since registered a further 7 victories. You shouldn’t be surprised at the enterprise of Mr Adams: the former Chairman of Grand West Casino has twice negotiated the sale of the Cape Town Waterfront (yes, “the” Waterfront), and recently announced his launch of the South African franchise of Burger King, which makes his exploits with Uncle Tommy a mere bagatelle. For what it’s worth, Cousin Linda’s commercial record looks like this. Who said horse breeding was not a profitable pursuit? At the end of the day, Summerhill started out with a half-interest in a single mare, and horses alone have spawned everything you see around us today, including its award-winning hospitality establishment, Hartford House, and Vuma Horsefeeds.